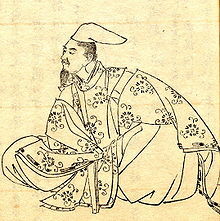 The first poetic diary in Japanese literature is Tosa Diary by Ki no Tsurayuki in 935. Prose in the form of diaries (nikki) or tales (monogatari) include waka poetry (now known as tanka) in the form of 31 sounds (onji). This new tradition of combining prose with waka, was the forerunner of all Japanese poetic diaries. The Tale of Genji, the world’s first novel written by Murasaki Shikibu, was influenced by this poetic tradition. In Tosa Diary, Tsurayuki creates his account of an unknown mother’s return journey to the capital after the death of her daughter. Why would he choose to write in the voice of a woman? Gustav Heldt points out in Writing Like a Man: Poetic Literary, Textual Property, and Gender in the Tosa Diary that “literacy in the Heian court was primarily determined by social background rather than gender” and “far from being an extravagant fictional masking of the author’s identity, the choice of a female diarist to record events in Tsurayuki’s life would have been an utterly conventional means for writing.” Heldt explains what is unconventional about the Tosa Diary is that Tsuruyuki is actually the author since it was common for court poets or attendants to write the diaries for an emperor or empress and these would become property of the household, not the author. Heldt concludes, “The historical setting in which the Tosa Diary was written was one in which members of the newly ascendant Fujiwara household engaged in the practice of keeping diaries in order to assert their privileged place at court.” (Journal of Asian Studies, 2005).